So Excited…..A Ribbon and a Retreat! This past weekend, my “To Everything There Is A Season” quilt won a ribbon at the Simcoe County Quilt, Rug and Craft Fair! This quilt was exquisitely machine quilted by Rose Bell of Fancy Feathers. The paper pattern is now available on my website . The digital patterns for the blocks will be available by the end of the week. 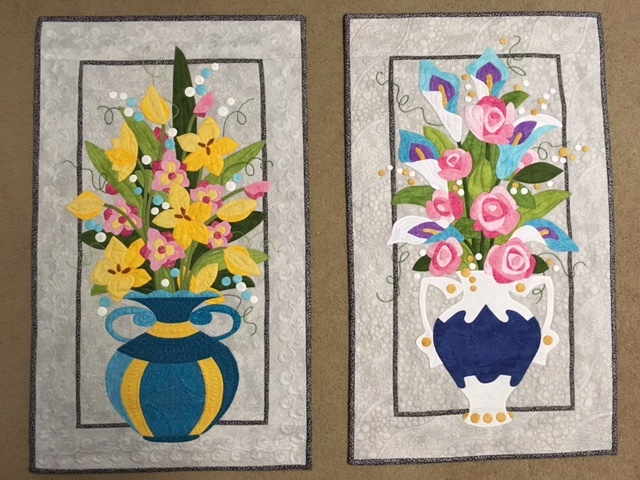 Many of you have asked about getting the patterns available in digital form and we are doing our best to make that happen, including the patterns from last year’s Academy of Applique, A Taste of Lilies and Crazy For Callas. The show, which is always held at the Simcoe County Museum, has some very poignant memories for me. I remember coming to this museum many times on school trips and learning about the fascinating history in our own back yard. Later on, my Mom and I would go to this show every year. Although I wasn’t really quilting at the time, I was so interested in quilts and quilting. This show has been extremely influential in my quilting life. 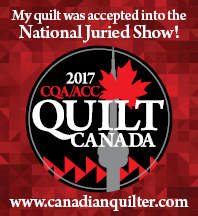 It is more than just a quilt show. There are embroiderers, lacemakers, spinners, hookers and weavers eager to demonstrate their many talents. It is an awesome opportunity to see the remarkable talent in Simcoe County. The weather was absolutely gorgeous this year so sitting outside and eating a piece of pie seemed like the right thing to do! Big News….I am so thrilled to announce that I am launching my very first Applique Retreat! The 3 day event will be held at The Fireside Retreat in the Spring of 2018 (March 27-29). Please join me for 3 days of stitching, learning and sharing everything applique! This retreat will be a great place to learn the techniques I use for all of my applique projects. If you are looking for a stress free way to hand-applique, look no further! Of course, there will be time set aside to work on your own applique projects. Imagine, 3 days of inspiration and creativity and eating! I will have all of the details in my next blog post.